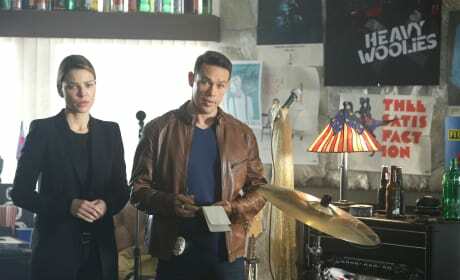 Dan and Chloe are working a case together. It looks like it has to do with music. We hope they don't end up making music together anymore! 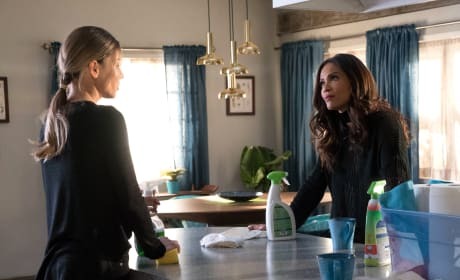 We're sure that Chloe somehow saved Lucifer from certain death. No matter what's going on with these two, they'll always be a perfect couple. 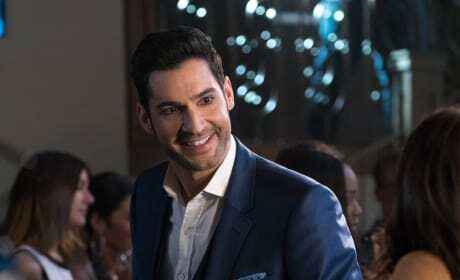 It didn't take Lucifer long to find himself in a bit of trouble. 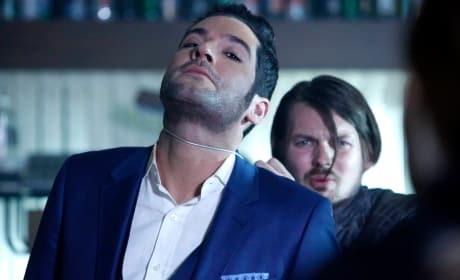 Why does this guy have a wire wrapped around Lucifer's throat? 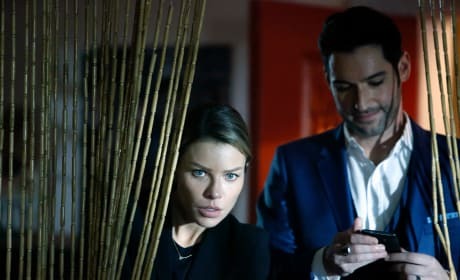 It looks like Lucifer and Chloe are back on the case...or something. 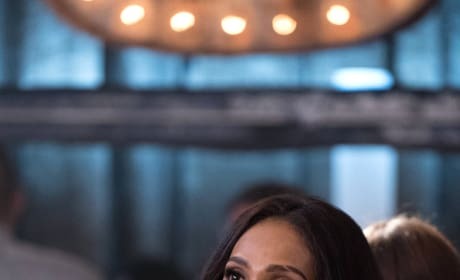 We still can't get over that ring on Lucifer's hand! 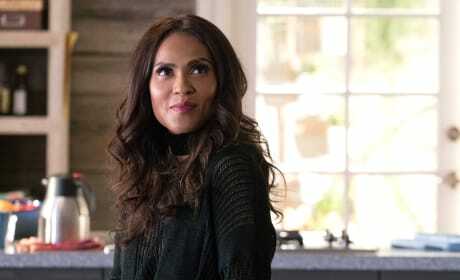 Maze probably wasn't worried about Lucifer at all. She knew he'd be back and she took care of the Lux in the meantime. Lucifer is the epitome of perfection. We're loving his happy demeanor, but how long will it last? 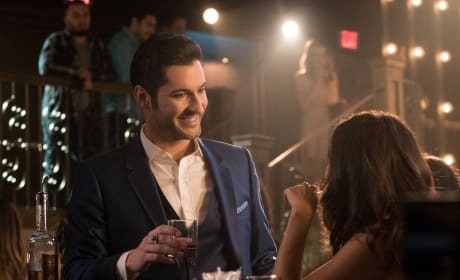 Looks like Lucifer is having a grand time with Maze. Is he telling her they are finally going to go home? 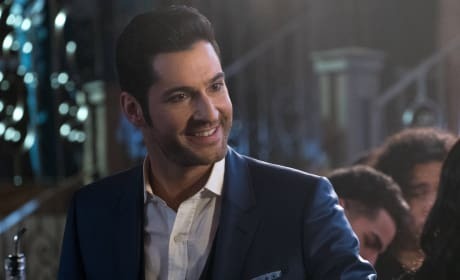 Lucifer looks a lot happier now than when we last saw him. Is his big smile for Chloe? 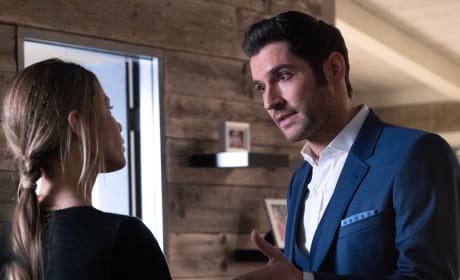 Lucifer looks like he's pleading with Chloe to forgive him for being gone. What was he doing and why did he leave? Maze looks quite amused at the moment. What's on this demon's mind? The best thing that happened to Chloe was when her and Maze moved in together. Now she has someone to talk to. 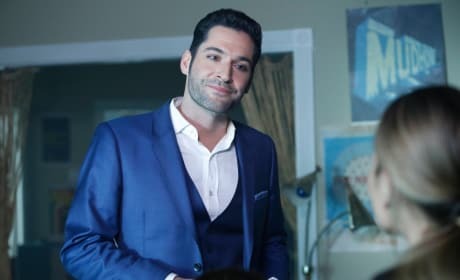 You'd think Chloe would be a little happier to see Lucifer back, but we can understand if she's hurt about him leaving.